Charlotte Lennox as one of "The Nine Living Muses of Great Britain,"
Charlotte Lennox, like Eliza Haywood and Elizabeth Inchbald, turned to writing out of financial necessity. Like Haywood (and Inchbald, too), Lennox may have married out of necessity: a literary and theatrical career was not considered respectable for an unmarried woman. Lennox was fortunate to find aristocratic patrons, support among the bluestocking circle, and mentorship from established male writers such as Samuel Johnson and Samuel Richardson. Nonetheless, the literary life was a precarious one, and Lennox experienced periods of financial distress throughout her life. written by women, was published anonymously. The Female Quixote is a one-joke novel, but it's a good joke. Like her predecessor Don Quixote, Arabella has read so many French romances that she's come to see herself as one of her fictional heroines: she uses archaic language ("questionless" for doubtless, "history" for story, "haply" for perhaps), makes imperious gestures that mystify those around her, and expects men seeking her love to undergo years of trials to prove their fidelity. Needless to say, her imaginative flights lead to comical misunderstandings with those around her, who don't have quite such active imaginations or fantastical views of everyday life. Jane Austen read and enjoyed The Female Quixote, writing to her sister Cassandra that "it now makes our evening amusement; to me a very high one, as I find the work quite equal to what I remembered it." Austen seems to have modelled Catherine Morland, the heroine of Northanger Abbey, in part on Arabella; both characters have perhaps immersed themselves a bit too deeply in the worlds of their fictional reading. Whence comes it, Cousin, added she, being so young and lovely as you are, that you, questionless, have been engaged in many Adventures, you have never reposed Trust enough in me to favour me with a Recital of them? Engaged in many Adventures, Madam! returned Miss Glanville, not liking the Phrase: I believe I have been engaged in as few as your Ladyship. You are too obliging, returned Arabella, who mistook what she said for a Compliment; for since you have more Beauty than I, and have also had more Opportunities of making yourself beloved, questionless you have a greater Number of Admirers. As for Admirers, said Miss Charlotte bridling, I fansy I have had my Share! Thank God, I never found myself neglected; but, I assure you, Madam, I have had no Adventures, as you call them, with any of them. No, really! interrupted Arabella, innocently. No, really, Madam, retorted Miss Glanville; and I am surprised you should think so. Indeed, my Dear, said Arabella, you are very happy in this respect, and also very singular; for I believe there are few young Ladies in the World, who have any Pretensions to Beauty, that have not given Rise to a great many Adventures; and some of them haply very fatal. If you knew more of the World, Lady Bella, said Miss Glanville pertly, you would not be so apt to think, that young Ladies engage themselves in troublesome Adventures: Truly the Ladies that are brought up in Town are not so ready to run away with every Man they see. No, certainly, interrupted Arabella; they do not give their Consent to such Proceedings; but for all that, they are, doubtless, run away with many times; for truly there are some Men, whose Passions are so unbridled, that they will have recourse to the most violent Methods to possess themselves of the Objects they love. Pray do you remember how often Mandana was run away with? Not I indeed, Madam, replied Miss Glanville; I know nothing about her; but I suppose she is a Jew, by her outlandish Name. She was no Jew, said Arabella, tho' she favoured that People very much; for she obtained the Liberty of great Numbers of them from Cyrus, who had taken them Captives, and could deny her nothing she asked. Well, said Miss Glanville; and I suppose she denied him nothing he asked; and so they were even. Indeed but she did tho', resumed Arabella; for she refused to give him a glorious Scarf which she wore, tho' he begged it on his Knees. And she was very much in the right, said Miss Glanville; for I see no Reason why a Lover should expect a Gift of any Value from his Mistress. Severely virtuous, Lady Bella! said Miss Glanville, reddening with Anger: Pray what do you mean by that? Have you any Reason to imagine, I would grant any Favour to a Lover? Why, if I did, Cousin, said Arabella, would it derogate so much from your Glory, think you, to bestow a Favour upon a Lover worthy your Esteem, and from whom you had received a thousand Marks of a most pure and faithful Passion, and also a great Number of very singular Services? I hope, Madam, said Miss Glanville, it will never be my Fate to be so much obliged to any Lover, as to be under a Necessity of granting him Favours in Requital. I vow, Cousin, interrupted Arabella, you put me in mind of the fair and virtuous Antonia, who was so rigid and austere, that she thought all Expressions of Love were criminal; and was so far from granting any Person Permission to love her, that she thought it a mortal Offence to be adored even in private. Miss Glanville, who could not imagine Arabella spoke this seriously, but that it was designed to sneer at her great Eagerness to make Conquests, and the Liberties she allowed herself in, which had probably come to her Knowlege, was so extremely vexed at the malicious Jest, as she thought it, that, not being able to revenge herself, she burst into Tears. Arabella's Good-nature made her be greatly affected at this Sight; and, asking her Pardon for having undesignedly occasioned her so much Uneasiness, begged her to be composed, and tell her in what she had offended her, that she might be able to justify herself in her Apprehensions. You have made no Scruple to own, Madam, said she, that you think me capable of granting Favours to Lovers, when, Heaven knows, I never granted a Kiss without a great deal of Confusion. And you had certainly much Reason for Confusion, said Arabella, excessively surprised at such a Confession: I assure you I never injured you so much in my Thoughts, as to suppose you ever granted a Favour of so criminal a Nature. Look you there now! said Miss Glanville, weeping more violently than before: I knew what all your round-about Speeches would come to: All you have said in Vindication of granting Favours, was only to draw me into a Confession of what I have done: How ungenerous was that! The Favours I spoke of, Madam, said Arabella, were quite of another Nature, than those it seems you have so liberally granted: Such as giving a Scarf, a Bracelet, or some such Thing, to a Lover, who had haply sighed whole Years in Silence, and did not presume to declare his Passion, till he had lost best Part of his Blood in Defence of the Fair one he loved: It was when you maintained, that Mandana was in the right to refuse her magnificent Scarf to the illustrious Cyrus, that I took upon me to oppose your Rigidness; and so much mistaken was I in your Temper, that I foolishly compared you to the fair and wise Antonia, whose Severity was so remarkable; but really, by what I understand from your own Confession, your Disposition resembles that of the inconsiderate Julia, who would receive a Declaration of Love without Anger from any one; and was not over-shy, any more than yourself, of granting Favours almost as considerable as that you have mentioned. Arabella's imaginative world puzzles and exasperates the men around her, particularly those who wish to court her: Mr. Hervey, Sir George, and Charlotte's brother Charles. But this suggests that Arabella's fantasy world functions as an escape from male control. It also comes to seem like an unconscious protest against the powerlessness of women: the heroines of romances are imperious queens and princesses, whose "Histories" are filled with "Adventures" very different from the highly circumscribed existence of a young 18th-century woman of rank. That Arabella's imaginative rebellion ends with her submission to male authority, although perhaps inevitable, is also disappointing. 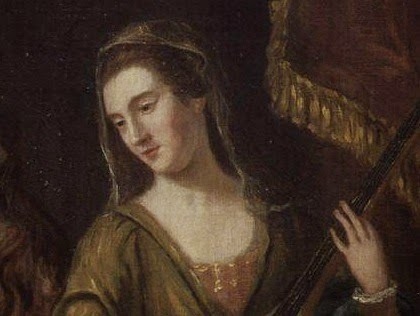 In the preface she wrote to the novel for its inclusion in her series The British Novelists, Anna Barbauld wrote that Lennox's story was "not very well wound up. The grave moralizing of a clergyman is not the means by which the heroine should have been cured of her reveries." But perhaps there is no way to satisfyingly end a novel that suggests that women, in order to be fit for marriage and domesticity, must be "cured" of their imaginations. 1. Jane Austen's letters to her sister Cassandra and others. R.W. Chapman, ed. London: Oxford University Press, 1932, Letter 48, p. 173. 5. Anna Barbauld, "Mrs. Lennox," in The British Novelists; with an Essay and Prefaces, Biographical and Critical, 1810, Vol. XXIV, p. iii. Retrieved from http://idhmc.tamu.edu/poetess/critarchive/LennoxBritNov1810.html. Jean, Arabella has some of the same endearing qualities as her later kindred spirit, Catherine Morland. So if you're an Austen fan, I definitely recommend The Female Quixote—except for the next-to-last chapter, which the author calls (ironically?) "the best Chapter in this History." Some critics have even speculated that the chapter was written by Samuel Johnson himself! But that chapter aside, I think you'll thoroughly enjoy it.